This past week Thomas O'Brien posted a time-lapse video 7 years in the making to Vimeo. That's right, 7 years! O'Brien's focus is shooting photos and video of meteor showers and for the past 7 years has been collecting footage that he has compelled into a beautiful 2-minute reel. He sent us a special message to tell us he used GBS software extensively throughout the process. Various meteor atmospheric entries captures in a single frame reposted from O'Brien's blog. O'Brien's recent post on his blog, http://muenchworkshops.com highlights the video and focuses on 10 tips on photograhing meteor showers. "The Earth is about to pass through a brand new debris field from a comet that came through this area of space back in the 1800's. We will be moving through the area on the 24th of May and it could be a great meteor shower." Head over to O'Brien's post at http://muenchworkshops.com/blog/tips-for-photographing-meteor-showers to find out more. We waited through the weather for an opportunity to get a good day-to-night Holy Grail with sky and reflection, and it paid off. 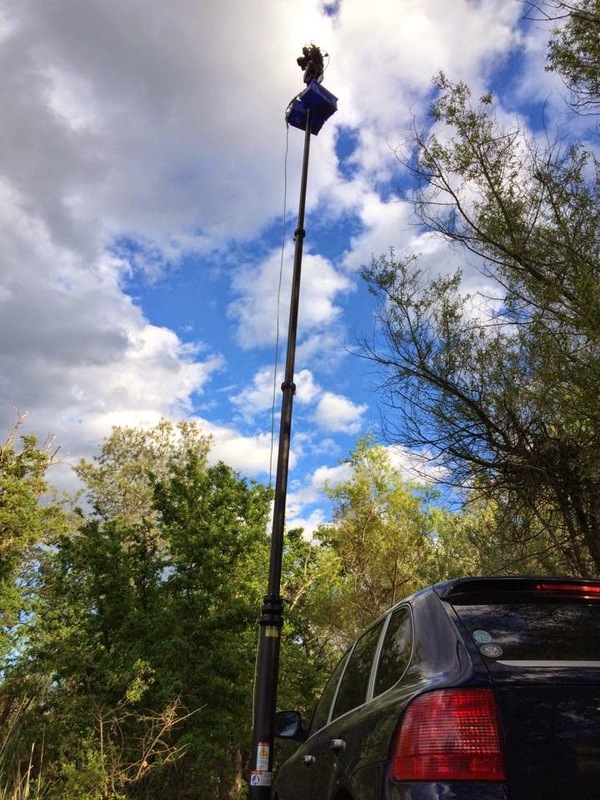 We used GBTimelapse to control an inaccessible eMotimo TB3 for pan/tilt and aperture-pull mounted atop a Willburt mast. Although the TB3 was out of reach, GBT can setup the start and end points and control the motion. The video breaks down a lot of the details of the shot and the process. It was shot in JPEG with no post processing other than a crop to 16x9. GBTimelapse adjusted the exposure automatically and pulled aperture from f/22 to f/2.8 as the sun set. The time-lapse interval was ramped from 10 to 36 seconds and the color temperature was ramped from 5000°K to 4000°K. We had to change the tilt end point while the time-lapse was running to get a better shot of the night sky. Make sure to watch the video in HD so you can see the star detail and look for the wild turkeys across the pond about 18 seconds in.